How Do You Battle the War of the Christmas Wish Lists? 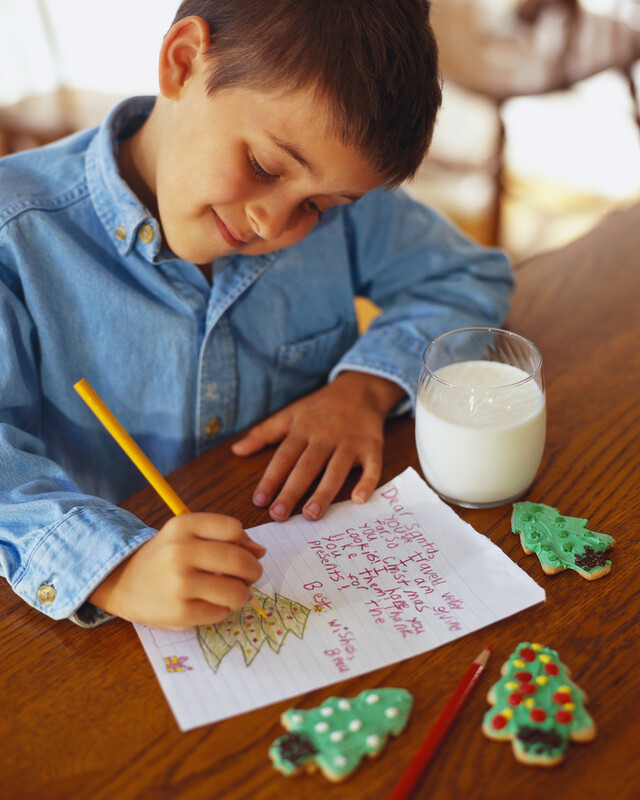 Do your kids create wish lists of what they’d like to receive for Christmas? Long ones? Do they devour the Christmas Wish Books that pour into your home at this time of year? Do their eyes grow big and do their palms sweat as they walk through the stores, finding even more items to fill those lists? At Thanksgiving, we might be grateful for what we have, but we’re rarely content, particularly around Christmas. Christmas seems to kill contentment. Everyone is asking “What do you want for Christmas? What do the kids want for Christmas?” Christmas feeds our wants. It rarely feeds our needs. What can we do about it? Every year between Halloween and Thanksgiving, I feel a little uneasy about the countdown of blessings so many people do. Something seems slightly “off” about it, but I’ve never been able to put my finger on what it is. […] It’s not that there is anything wrong with focusing on giving thanks every November. […] [It’s just that] gratitude alone is pretty easy. It doesn’t require much sacrifice or change of heart to take inventory of our blessings. Gratitude is simply a measure of our perspective on the things we already have, and most of us can easily embrace those things with a seasonal reminder. Gratitude is not what most of us struggle with most, however. It’s the closely related cousin named contentment that causes far more consternation. While gratitude is a measure of our perspective on the things we already have, contentment is a measure of our perspective on the things we don’t have. It’s being able to say we want nothing more no matter how much or little we have. Think you can sell that idea to your kids this Christmas? Natasha raises a really important point, and I think we are all guilty of thanking God for what we have, but not learning to be content despite our circumstances. Despite our wish lists. Despite the imperfections in our current circumstances. I thought this was such a timely message that I wanted to share it. What can we do about this as parents, particularly around Christmas time? Here are a few suggestions. – Practice contentment yourself. This does not just have to be contentment with material things, but contentment in the midst of your present circumstances. There is no ideal future time when life will be perfect (except, of course, in heaven)! Enjoy the imperfection now (I am preaching to myself here). – Discuss the passage by Paul in Philippians 4:11-13. Talk about what you could do if you lost some of the things you currently enjoy having or you depend on (your house, your car, your friends, your church, special toys, food, etc.). How could Paul really say he was content in every circumstance? How did he do it? Ask God to help you like He helped Paul. – Focus some of your family Bible reading times on passages that deal with contentment, such as: Eccl 5:10-20; 1 Tim 6:6-10; 1 Tim 6: 17-19; Psalm 49: 16-20; Eccl 5:15; Num 11:4-35; Psalm 78:18-31. – Work with your children to edit their wish lists or their expectations at Christmas. This would be a practical application of the lessons above. You could ask them which items they could actually live without (which would probably be all of them), and whittle the lists or expectations down. – Work with family to minimize Christmas giving. You can teach your kids about contentedness all you want, but if they get a truckload of gifts at Christmas, the lessons could be buried by Dec 26th! I am grateful for Focus on the Family’s Kids of Integrity website for some of the ideas above. Get more activities on fostering contentment here. I am going to do some more thinking on this in the future and may have more to share after Christmas on learning contentment in all circumstances. ← Has Jesus Always Been Considered the Divine Son of God? Thanks for sharing your post with us – I like it a lot! Thanks Natasha – I owe the idea for this post to you!